Westland Toerisme organizes interesting and surprising guided tours with enthousiastic guides in the greenhouses of the Westland. 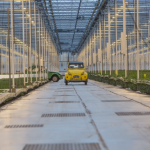 Book a guided tour with family, friends or colleagues and discover all the innovations of greenhouse horticulture. Learn about breeding beautiful flowers, potted plants and new developments in food safety, taste and technique. Westland Toerisme arranges one single daytour of custom made guided tours, that fully meet your wishes and interests. We have a large network, years of experience and our roots lie in the Westland. We can advise you about all the possibilities for an interesting tour. Click here for a customized guided tour. 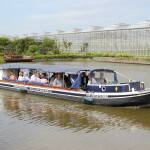 For a professional guided business tour visit the site of Westland HortiTours. We offer several combinations of guided (day)tours in the beautiful surroundings of the Westland, with lots of surprising visits. Interest in a costumized day tour? Please contact me. 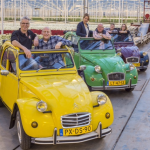 Westland Toerisme organises unusual business tours. If you are in the Westland region, either alone or with a group of entrepreneurs or study/industry association, for example, we can provide an interesting programme or addition to your own programme. We will take you on an exciting look behind and below the scenes of one of the most innovative sectors in the Netherlands. 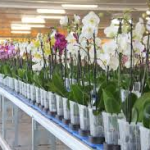 In consultation with you, we will put together a programme which is fully in line with your wishes and interests, such as climate control, logistics or biological pest control. 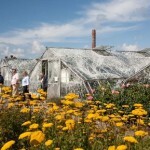 We provide tours of renowned horticultural businesses and horticulture-related suppliers. Our professional guides have many years of experience in the agricultural sector and look forward to sharing their passion and knowledge with you. You can request a quotation here (free of obligation) for an individual or group tour and any additions to your programme, if required. Click here for the booking conditions. For your safety and for the safety of the company we visit, we ask you to read our safety letter in advance, also to your customers. Click here for the safety letter. Participating in the guided tours of Westland Toerisme is entirely at your own risk. Westland Toerisme cannot be held liable. Click here for a free quotation for a customized guided tour. Westland Toerisme takes part in Bezoek Westland, a platform about activities in the Westland. Aad Verduijn and Wilma Verkade form the board of Westland HortiTours, part of Westland Toerisme. “I have over 40 years of experience in the horticultural technology. I know the entrepreneurs in this dynamic sector and the technical innovation in this sector fascinates me enormously. It is always a quest to know how to culture better, faster, healthier, more economical, energy efficient and environmentally friendly. I lead my guests around with great enthusiasm and let them discover the innovative world of the Westland”. “As the daughter of a breeder I have developed a lot of love for horticulture ever since I was young. With Westland HortiTours I like to promote this dynamic region. With much pleasure I take care of the planning and organisation of the guided tours. I am your contact person”. Do you object to your visit being published on our website or social media?